Flower arranging plays a particular role in enhancing the beauty of our lovely Church. Apart from Lent and Advent, arrangements are provided every week of the liturgical year. Easter, Christmas and other festivals, occasional flowers in abundance; weddings and funerals provide scope for particular arranging skills. The provision of memorial and celebratory flowers in the Lady Chapel has proved very popular among parishioners. 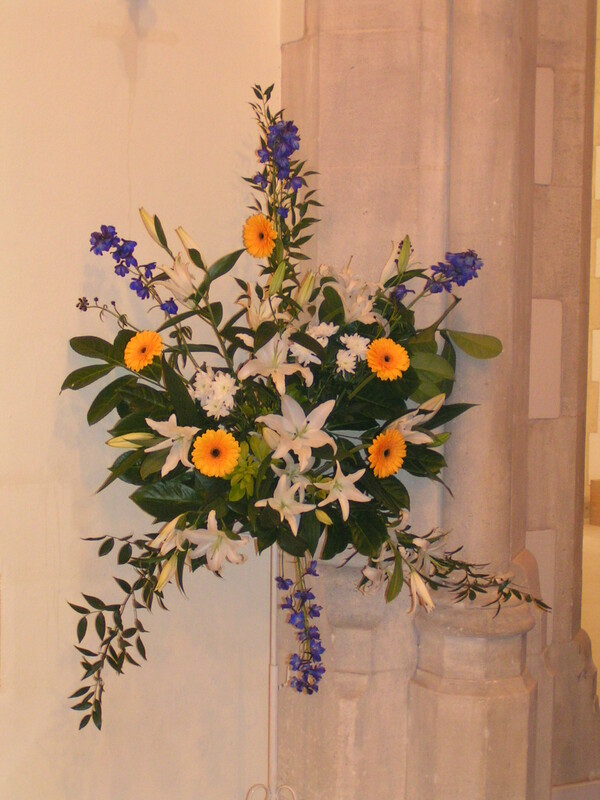 Assistance would be welcome from any parishioner with some experience in flower arrangement, especially at festivals and weddings so any budding arrangers please give this serious consideration. Please contact the Parish Office 020 8989 2074 or on the form in contact us. On Wednesday mornings after the 9am Morning Mass, and every other week after the Sunday 9.30am Mass (except for the month of August), there are teas and coffees in the Pastoral Centre giving everyone an opportunity to chat and for people to get to know one another.